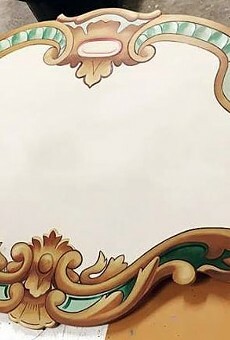 I can't for the life of me understand why it took officials this long to agree to remove the offensive depiction of black children from the carousel at Ontario Beach Park. Nor can I understand why it took any of us so long to notice the carousel panel and recognize its offensiveness. The panel, which is one of several mounted high up on the carousel's exterior frame, shows two black children, with exaggerated facial features, being frightened by a rooster. That kind of thing used to be common in this country: using African Americans as objects of humor in art and in advertising. The art and ads were designed to ridicule: to get us to laugh at African Americans by portraying them as stupid, weak, inferior. 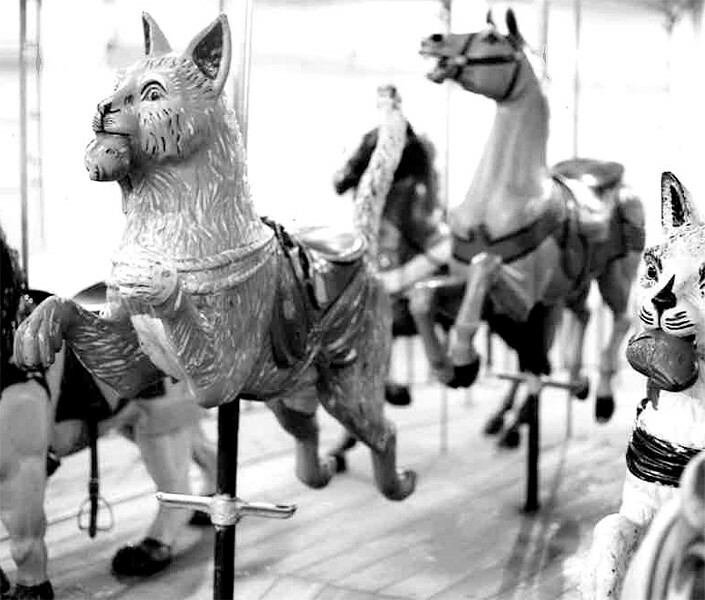 The Dentzel carousel's animals are original to it. Last week, thanks to activists' continuing efforts and the mayor's request, County Executive Cheryl Dinolfo reversed a decision made by her predecessor and said the panel can come down - if the city pays for it and the Preservation Board approves. The carousel itself is a rare, historic one, built by the Dentzelcompany and installed at the beach in 1905 - horses, ostriches, cats, pigs, 52 animals in all. It's a designated city landmark, so the Rochester Preservation Board would have to approve any change and anything that would be put up in its place. That shouldn't be a hard decision. Landmark Society Executive Director Wayne Goodman notes that many historic structures have had additions and other alternations. Under Rochester's preservation legislation, the alterations have to be for a good reason, and they have to be compatible with the historic and architectural nature of the structure. But landmarks can be altered. And removing a painted panel that mocks African Americans is a darned good reason. The Landmark Society hasn't taken a position on the panel's removal, but, Goodman says, "The carousel can certainly be preserved with a good amount of integrity," whether the panel stays or goes. Because the carousel is in Ontario Beach Park - which the city owns but the county operates - the county also has to approve the panel's removal, and former County Executive Maggie Brooks had said that the panel should be left in place, with some sort of panel nearby explaining its history. That's ridiculous. The carousel isn't a museum. Few people would bother to read the explanatory script, and a picture mocking African Americans would continue to hang in public view, sanctioned by local government. Ah, but if we remove the panel, doesn't that remove an important piece of American history? Don't we need to be reminded about this country's racism? Sure we do. But we ought to weigh that need against two other factors: The panel insults African Americans. And it puts a despicable stereotype in front of children of all races. Children are the carousel's principal users. And children learn early, not only from their parents and teachers but also from the media, from advertising, from depictions of people - in movies, in books, in toys, on carousels.... This panel teaches them a terrible lesson. We can easily let carousel patrons know about the panel without displaying it as a form of entertainment. Well before the discussion about the panel arose, the county had asked the Landmark Society to develop a series of informative panels about the carousel's history, to commemorate its 110th anniversary. That work is continuing, and the information could include a discussion of the missing panel and its removal. And if the illustration is considered artistically, socially, or historically important, it can be moved to a museum. Frankly, we all ought to be ashamed that it took a Democrat and Chronicle blogger to draw attention to the panel. It's been hanging there in plain sight since 1905. And we ought to be ashamed that it took months of persistence by Howard Eagle and other activists to get public officials to act.